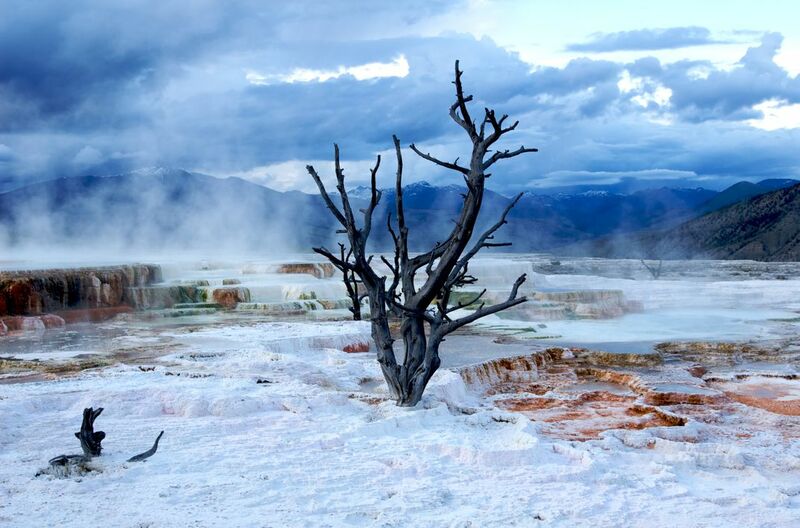 Yellowstone National Park's Mammoth Hot Spring basin. The tree in the photograph was killed when it obtained water from the hot spring which contains micro-organisms and bacteria. Date Uploaded: Nov. 16, 2011, 1:14 p.m.